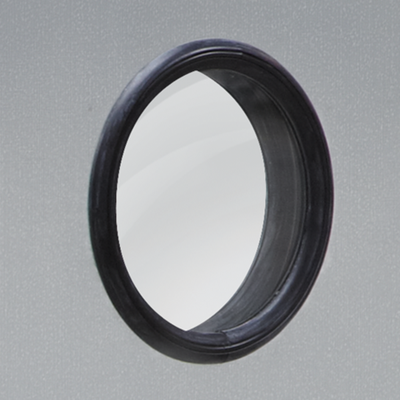 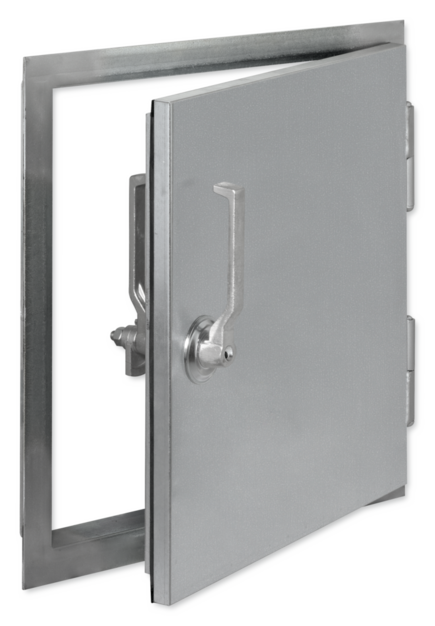 Low-leakage inspection access doors are low-leakage separating elements for rooms or other enclosures. 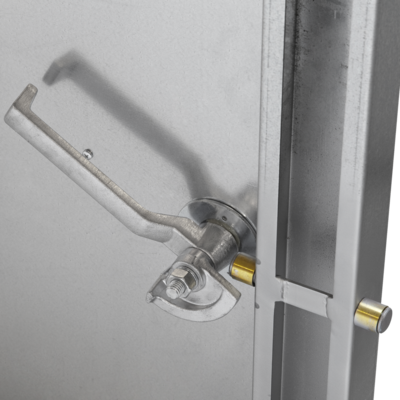 Low-leakage inspection access doors as separating elements for air handling units, filter chambers, or enclosures for machinery or electrical equipment. 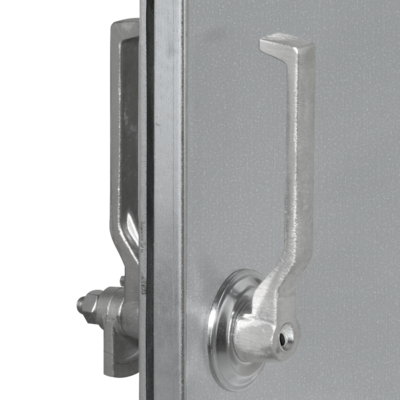 Ready-to-install component that consists of a door leaf with double lever locking device, absorption material, seal and hinges, and a frame. 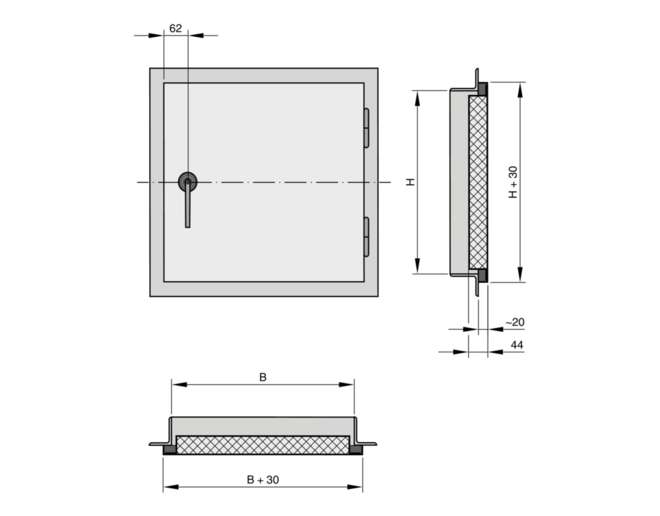 Air leakage rate on the opening side is approx. 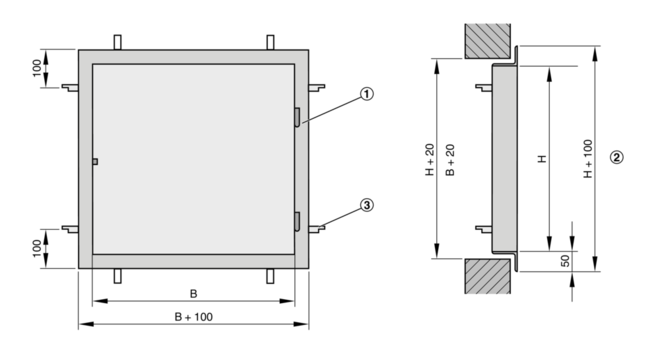 0.6 l/s or 2 m³/h at 2000 Pa.